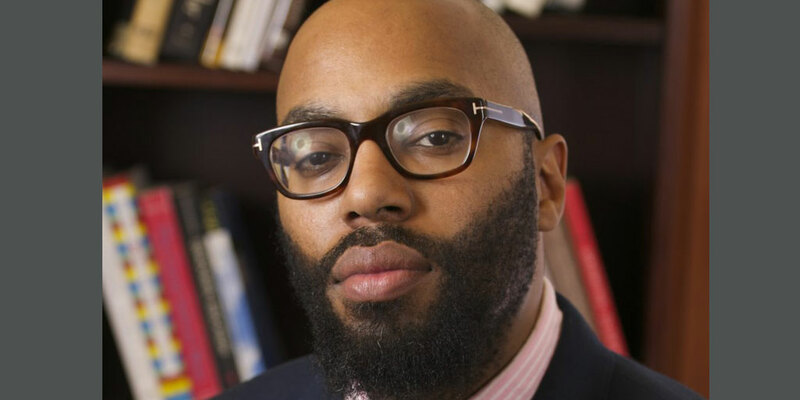 As an undergraduate at Lehman College, Chris Emdin led a double life. An Anthro-Biochemistry major (B.S.,‘01) and self-described science geek, when he was not in class or a lab, Emdin was taking full advantage of the hip-hop culture that was thriving on campus. That included being at radio station WLCR, hanging out with the rappers (some famous) and producers who were often visiting friends on campus and impromptu, frequent rap battles, where he showed off his MC skills. “This was all going on at the Lehman campus, unbeknowst to the school,” said Emdin, on the telephone from his office at Teachers College, where he is an associate professor in the Department of Mathematics, Science, and Technology and where he also serves as associate director of the Institute for Urban and Minority Education. For many, this Clarke Kent/Superman scholastic existence—mild-mannered science major by day, underground rapper by night—might have just been undergraduate fun. But for Emdin, it changed his entire life and professional track. “Lehman was where the idea of hip-hop being married to science was born for me,” he said. That marriage led Emdin to create the #HipHopEd social media movement and Science Genius B.A.T.T.L.E.S. (where hip-hop is used to get students excited about STEM), which have been heralded as groundbreaking approaches to teaching. In 2015, he was named Multicultural Educator of the Year by the National Association of Multicultural Educators, and was appointed a STEM Access Champion of Change by the White House. He has also served as a Minorities in Energy Ambassador for the U.S. Department of Energy. Emdin’s theory of Reality Pedagogy is meant to teach teachers strategies that are relevant to best educating their students. It includes techniques like hip-hop and call-and-response, as practiced in African-American churches. It also includes teachers asking themselves some critical questions before they walk into a classroom (“The most important one is, should I be teaching?” he said). Edmin, whose first book was the New York Times-bestseller Urban Science Education for the Hip-Hop Generation, has just returned from Austin, Texas, where he delivered a keynote at SxSW called “We Got It from Here…Thank You 4 Your Service.” In his talk, he analyzes contemporary schools and curriculums, and strives to address the lack of diversity among teachers as well as the reason why teachers of color and students often feel their voices have been silenced in education systems. Dr. Christopher Edmin will be the keynote speaker at the NYC Writing Project's annual Teacher-to-Teacher Conference on Saturday, March 18 in the Speech and Theatre Building at Lehman College. The event will be held from 8:30 a.m. to 4:30 p.m. For tickets and more information please click here.